Prove your bravery on the wing! 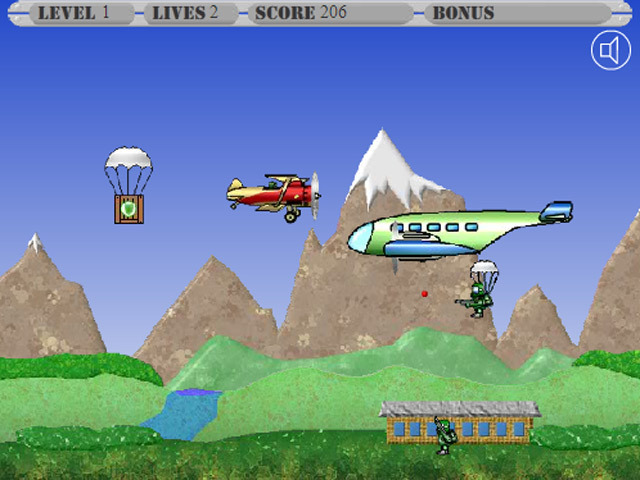 Battle a ruthless invasion force by air and land in this exciting action game!Defend your homeland from invaders!Prove your bravery on the wing! 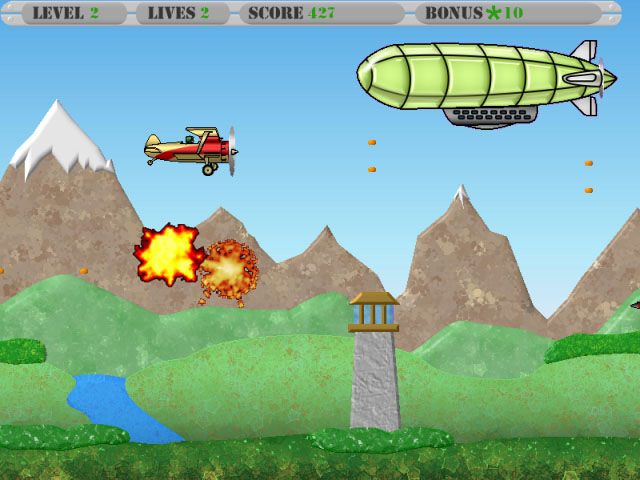 Battle a ruthless invasion force by air and land in this exciting action game! 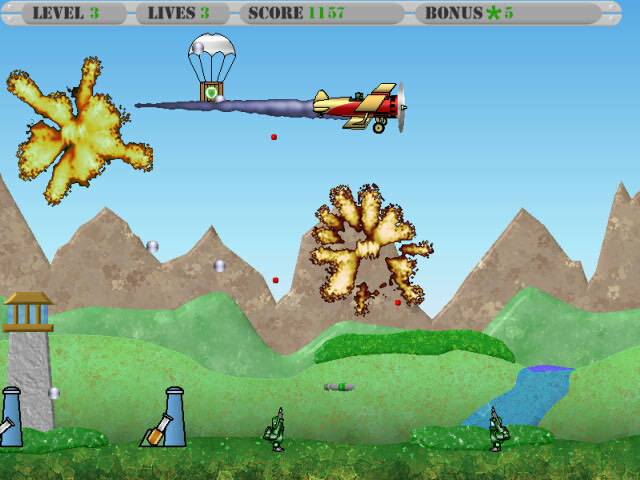 Collect weapons upgrades and power-ups to assist you in your gallant mission. 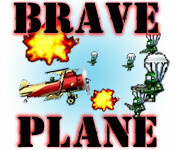 Dodge and destroy invaders by land and air, but watch out for enemy fire; you're brave, not bulletproof.